On 23 June 2016, the people of the UK were asked whether they believed their country should remain a member of the European Union or leave. On a turnout of 72.2 per cent, a majority (51.9 per cent) voted to leave. The UK government announced it would give effect to the referendum’s result by following the process set out in Article 50 of the Treaty on European Union (TEU). On 29 March 2017, acting with the authority of Parliament, the Prime Minister gave the European Council formal notice of the UK’s intention to withdraw from the EU. The UK will leave the EU upon the earlier of a withdrawal agreement entering into force or the second anniversary of the notification. The departure date could only be extended with the unanimous agreement of all the Member States (including the UK). The practical effect is that the UK is likely to remain a member of the EU until at least March 2019. Much of the law that underpins the UK’s dispute resolution architecture is, directly or indirectly, European in origin. In theory, all of that law will cease to apply in and to the UK when it leaves the EU. In practice, a combination of unilateral action by the UK, transitional arrangements (agreed or unilateral), and, in due course, a new relationship agreement between the UK and the EU is likely to mitigate substantially the legal effects of Brexit in this area. We begin, however, by assessing some of the broader legal implications of Brexit that cut across each of these areas. The source and basis of EU law are the various treaties entered into by the Member States. On the international plane, the UK is bound by these treaties for as long as it is a party to them. However, EU law only produces effects in the UK’s domestic legal order because an Act of Parliament – the European Communities Act 1972 – says it does; the 1972 Act is the pipe through which EU law flows into UK law. The UK’s notification under Article 50 TEU has set in train a process by which the UK will cease to be a party to the treaties, cutting off the flow of EU law at its source. Just as the UK’s entry into the EU’s forerunner was given domestic effect by statute, so will the UK’s withdrawal. In July 2017, the government introduced the European Union (Withdrawal) Bill in the House of Commons. If enacted in broadly its current form, this legislation would repeal the European Communities Act (cutting the pipe, so to speak) while also preserving and converting into domestic law, to the extent practicable, all EU law as it applied to the UK at the moment of exit. The Withdrawal Bill, if enacted, will assure legal continuity in some areas, but not all. This is because, while the UK Parliament can legislate to domesticate all EU law, it cannot make all EU law work outside the context of EU membership. This is particularly the case where the law in question imposes reciprocal rights and obligations on Member State courts: if the UK is no longer a Member State, it can no longer require or expect reciprocal treatment. The effects of Brexit and the operation of a Withdrawal Act will, therefore, differ according to the nature of each EU law instrument. a The EU rules for the determination of governing law are of a kind which can easily be domesticated (via a Withdrawal Act or otherwise) and will continue to produce the same effects in the UK and in the EU27 as they do today. There should be no impact on existing English governing law clauses and no reason for commercial parties not to continue to choose English law to govern their contracts. b The EU rules for the determination of which country’s courts have jurisdiction over a dispute and the enforcement of resulting judgments are premised on Member State reciprocity; they cannot unilaterally be domesticated and continue to produce the same effects. Alternatives are therefore required. The UK has said it will accede to the Hague Convention on Choice of Court Agreements, which is similar (though less comprehensive) than the current European regime but does at least cover 26 of the 27 remaining Member States2 (as well as Singapore and Mexico). The UK has also said it wishes to negotiate with the EU27 a new agreement that replicates to the fullest extent possible the current European regime. Much of the discussion of Brexit has assumed its legal effects will come about on the day of the UK’s withdrawal. In fact, it is increasingly likely that the UK will enter into a transitional (or ‘implementation’) period in March 2019, perhaps lasting up to two years. At the time of writing, the UK and EU27 are negotiating the terms of such a transition and the EU’s position is that EU law should continue to apply to and in respect of the UK during the transition. In addition, and still in the context of a negotiated transitional period, the parties have in principle agreed that the existing EU civil justice regime should continue to apply post-exit (or indeed after the end of a transition period) in respect of contracts, legal proceedings and judgments entered into, begun, or handed down (as the case may be) pre-exit. Even in the absence of a transition deal, the need to avoid a cliff-edge would likely require both the EU and the UK to implement separate savings provisions in respect of matters ongoing at the date of exit. Given the principled agreement in this area to date, it is likely that any unilateral provisions enacted by the two sides would mirror each other. The net effect of all this is that important elements of the current regime (on governing law) can and will be preserved. In the field of jurisdiction and enforcement, one pillar of the current regime (the Hague Convention) can and will be preserved, but continuance of the remaining parts of the system will require agreement between the EU27 and the UK. In those areas where continuity of the current regime is a matter for negotiation, the date on which Brexit will produce hard legal effects is likely to be later than the current predicted exit day (29 March 2019), perhaps by as much as two years. Even then, transitional arrangements are likely to ensure that agreements and proceedings pre-dating exit will continue post-exit – in the UK and the EU27 – in accordance with the law as it stands now. The governing law of a contract or a dispute relating to a non-contractual obligation is determined according to two different EU rules, as explained below. The governing law of a contract is determined according to the provisions of Regulation (EC) No 593/2008 (commonly known as the Rome I Regulation). As an EU regulation, Rome I has ‘direct effect’; that means that it operates in and binds Member States (including the UK) automatically, without the need for Member States to pass their own implementing legislation. Where a contract was entered into before 17 December 2009, Rome I’s predecessor, the Rome Convention, applies in the determination of its governing law. The purpose and effect of the Convention are broadly similar to Rome I, but its legal character is different and it does not have direct effect. Instead it was implemented in the UK by means of the Contracts (Applicable Law) Act 1990. The cornerstone of Rome I (and the Rome Convention) is party autonomy: the parties are free to choose the law they wish to govern their contractual obligations. This default rule is subject to various overriding exceptions that are intended to protect the weaker party in certain types of contracts (for example, contracts for the carriage of passengers, consumer contracts, employment contracts and insurance contracts) and to respect public policy imperatives in the law of the forum (such that, where the parties have chosen one country’s law to govern their contract but all the other elements of the situation at the time they made that choice point to a different country, certain mandatory provisions of that country’s law may be applicable). Where the parties have not made an express choice of law in their contract, Rome I sets out how it should be determined. In addition to the overriding rules described above, various other situations are catered for. For example, in a contract for the sale of goods, the governing law shall be that of the country where the seller has his habitual residence. And in a contract for the provision of services, the governing law shall be that of the country in which the service provider has his or her habitual residence. Importantly (particularly in the context of Brexit), Rome I is of ‘universal application’: a Member State court is bound to apply whichever law Rome I dictates should apply in the particular circumstances; it is irrelevant whether that law is or is not the law of a Member State. Regulation (EC) No 864/2007 (known as the Rome II Regulation) provides for the determination of the governing law of non-contractual obligations. It has been in force across the EU since 11 January 2009 in respect of events giving rise to damage since that date; like Rome I, it has direct effect in the Member States. Rome II allows parties to agree expressly on a law to govern their non-contractual obligations. That agreement can be made either before or after the happening of an event that gives rise to damage. In the absence of such agreement, the default rule – where the non-contractual obligation is tortious – is that the applicable law shall be that of the country where the damage occurred. Like Rome I, a court must apply whichever law the application of Rome II specifies, whether or not that law is the law of a Member State. As explained in section II, supra, the nature of the Rome Regulations means they can be transposed into UK law and, post-exit, will continue to produce the same effects in the courts of the UK and the EU27. This is because, as noted at Section III.i, supra, the regulations are of ‘universal application’: a court uses the rules to determine which country’s laws apply in a given situation and then proceeds to apply that law; whether that law is one of a Member State is wholly irrelevant. Transposition would be commercially advantageous – in that it would provide continuity of a regime which is familiar, robust and prioritises party autonomy – as well as legally straightforward. The UK government confirmed, in a paper published in August 2017, that ‘[a]s we legislate for our withdrawal from the EU, it is also our intention to incorporate into domestic law the Rome I and II instruments on choice of law and applicable law in contractual and non-contractual matters’. The legislative mechanism for this would be the European Union (Withdrawal) Bill (progressing through Parliament at the time of writing). However, transposition is not without potential problems. Most notably, it will be necessary to specify how the English courts should construe Rome I and Rome II in their transposed form. As EU instruments, the CJEU is the final arbiter for Member States of their meaning and interpretation. The CJEU’s rulings are made in response to references from the courts of Member States, which are then bound to apply its jurisprudence. This cross-border uniformity of application is one of the Rome regime’s attractions for commercial parties. Of course, when the UK leaves the EU, it will (absent any special arrangement) lose its right to refer questions to the CJEU and, by the same taken, no longer be bound by its decisions. The UK’s response to these issues, as set out in the European Union (Withdrawal) Bill, is to require English courts to construe transposed law in accordance with relevant pre-exit case law of the CJEU. Relevant decisions of the CJEU that post-date the UK’s withdrawal will not bind an English court, but the court may have regard to such decisions ‘if it considers it appropriate to do so’. On its face, this provision allows English courts considerable latitude; it may be that Parliament provides additional guidance in the legislation that reaches the statute book. An English choice of law clause in a contract will be as valid post-Brexit as it is today. Courts of the remaining EU states will continue to apply Rome I, which, as already noted, generally respects the choice of law made by the parties. Even where other rules in Rome I are engaged, they are blind to the country the laws of which their application prescribes. In short, whether or not the UK is inside or outside the EU will make no difference to the operation of Rome I. Meanwhile, an English court is very likely to continue to uphold an English choice of law clause, because Rome I will become part of the UK’s domestic law post-exit. Moreover, the reasons for choosing English law will remain powerful. It is a highly sophisticated, commercially aware, flexible system of laws used regularly in international business relations. EU law underpins the current position. The principal instrument relating to jurisdiction in civil and commercial matters (as well as the enforcement of resulting judgments) is the Recast Brussels Regulation (Brussels Recast). It applies to proceedings started on or after 10 January 2015 in EU Member States. Where proceedings began before that date (but after 1 March 2002), the original Brussels Regulation (Brussels I) applies. A near-duplicate of Brussels I, called the Lugano Convention, applies as between the EU and three of the EFTA states: Norway, Iceland and Switzerland. The basic rule under these instruments is that a defendant should be sued in the European state in which he or she is domiciled. This basic rule is subject to various exceptions, the most significant of which for present purposes is found only in Brussels Recast: where the parties have reached an agreement to confer jurisdiction on a specific Member State court (or courts), only that court (or courts) may entertain proceedings; any other Member State court in which proceedings are sought to be brought must decline to hear them. Where the European regime does not apply (e.g., because the claim in question does not relate to a civil or commercial matter; is, like arbitration, specifically excluded from its scope; or because the defendant is resident in a state not a party to the European regime), the common law rules apply. According to these rules, jurisdiction is conferred on the English court by service of process. If a person can be served (either as of right where a person is within the jurisdiction, or with the permission of the court where the person is outside the jurisdiction), then the court may (not must – in comparison with the European regime) hear a claim against them. This could only happen by agreement between the EU and the UK (and, separately, between the UK and the parties to the Lugano Convention). Of course, the UK could unilaterally domesticate the current European regime by transposing its text into UK law, but this would be of limited effect: while the English courts would continue to accept and decline jurisdiction (and enforce judgments) as they do now, the courts of other European states would no longer be bound to respect and uphold English jurisdiction and judgments. This is because the regime is built on reciprocity that extends only to other members of the club. The UK government, in a paper published in August 2017, said that it would ‘seek an agreement with the EU that allows for close and comprehensive cross-border civil judicial cooperation on a reciprocal basis, which reflects closely the substantive principles of cooperation under the current EU framework’. The feasibility and timing of such an agreement are predominantly political questions. While the UK has said it wants a seamless transition from the current regime to a new arrangement, it appears (at the time of writing) that the EU27 consider that any new agreement will be a matter for formal agreement only once the UK has left the Union. From a more practical perspective, there is a precedent of sorts for such an agreement. Denmark has, since the Treaty of Maastricht, enjoyed an opt-out from EU measures in the field of justice and home affairs; where it wishes to participate in those measures, it enters into freestanding agreements with the EU. In 2005, Denmark and the EU entered into such an agreement in order to extend the effect of Brussels I to Denmark; by operation of the same agreement, Brussels Recast now also applies to Denmark. The 2005 agreement is in the nature of an international agreement, not an EU instrument. To that extent, it could provide a template for a future international agreement between the UK and the EU. The Hague Convention is a multilateral instrument pursuant to which the courts of contracting states agree to: (1) uphold exclusive jurisdiction agreements made by parties, provided the nominated court is in one of the contracting states and the agreement otherwise complies with prescribed requirements; and (2) reciprocally enforce judgments given in disputes resulting from qualifying exclusive jurisdiction agreements. The UK is currently bound by the Hague Convention by virtue of its membership of the EU; it will cease to be bound when it leaves the EU. The UK government has confirmed that it will accede to the Hague Convention in its own right. That process is relatively straightforward and does not require the consent of the other contracting parties. Continued participation in the Hague Convention will provide a valuable element of continuity in this area. But it is important to note that the Convention is very different from the current European regime, and much more limited in its scope. It does not impose a comprehensive framework for the determination of jurisdiction and the enforcement of judgments: it applies only where parties have entered into a qualifying exclusive jurisdiction agreement (which probably excludes hybrid arbitration clauses and other one-sided jurisdiction clauses). It also does not extend to ‘interim measures of protection’. That means that, for example, emergency steps taken in the court of one contracting state to freeze a defendant’s assets in another contracting state pending a final judgment would not, at least under the Hague Convention, be enforceable in the state where the assets are located. Finally, it should be noted that the Hague Convention provides a defendant with more potential grounds for resisting overseas enforcement than are available under the current European regime; that could introduce an additional layer of cost and delay into cross-border enforcement proceedings. The Convention’s geographical and temporal coverage is also limited. At present, it applies only in the Member States of the EU (excluding Denmark), Mexico and Singapore3 and only in respect of exclusive jurisdiction agreements entered into from 1 October 2015 (1 October 2016 for Singapore). It is not clear whether accession by the UK in its own right would give rise to a coverage ‘gap’; that might lead to different treatment of agreements relating to the UK depending on whether they were entered into during the period when the UK was a Member State or after its individual accession to the Convention. The UK government has said that it will seek to continue to participate in the Lugano Convention, an international agreement between the EU and three of the four EFTA states. That would preserve the essentials of the current regime – in other words, a reciprocal arrangement under which English and other European courts would apply a common set of jurisdictional rules. The Lugano Convention permits a non-EU, non-EFTA state to accede to the Convention but only where it has the unanimous consent of all the other contracting parties. Obtaining that consent could be easier said than done. Even if no objection was raised by another party, as a pure matter of logistics obtaining consents could take some time. In addition, from a substantive point of view, the Lugano Convention is a less sophisticated instrument than Brussels Recast. This is because its terms mirror Brussels Recast’s immediate predecessor, Brussels I. Most significantly, that means Lugano does not accord exclusive jurisdiction agreements the primacy they now enjoy under Brussels Recast. Under Brussels I and Lugano, the rule is that the court before which a claim is first brought has the right to rule on its own jurisdiction, even where the parties had agreed that they wanted another court to have jurisdiction. That rule facilitated a litigation tactic whereby one party could frustrate or delay the claims of their counterparty by issuing proceedings pre-emptively in a court in which cases are known to move slowly. That tactic was commonly referred to as the ‘Italian torpedo’. The most reliable way to thwart it was to issue proceedings in the desired court before a would-be opponent had a chance to issue in a slower jurisdiction. One unfortunate side effect of this race between the parties to issue a claim in their preferred court was to limit the scope for ADR and early settlement. Should parties still be agreeing English jurisdiction clauses? The purpose of a jurisdiction clause is to give parties certainty about which courts can or must hear disputes that arise between them; bound up in this is the need for resulting judgments to be enforceable in places where a party has material assets. c likely subject to significant transitional arrangements in respect of arrangements entered into before the UK’s formal exit in March 2019 (and perhaps up to the end of end of any subsequent transitional period). Accordingly, parties negotiating a jurisdiction clause should begin by considering what it is they want their clause to achieve and where they want it to have effect. Brexit per se should not be a reason to avoid or amend an English jurisdiction clause. The many benefits of bringing proceedings in England – not least an impartial and expert judiciary, a well-established and transparent system of court procedure, and the deep pool of talent in the legal and associated professions – will not be affected by Brexit. Is there any benefit in adopting a non-exclusive jurisdiction clause? One option for parties entering into contracts now is to consider giving the English court non-exclusive jurisdiction over disputes. That would allow each party the flexibility to choose at the appropriate time whether to sue in England or to try to sue in the courts of one of the continuing Member States of the EU. The ability to sue in an EU court instead of in England might, in theory, be useful in the event that the UK is not immediately able, post-Brexit, to secure a continuation of the current regime whereby English judgments are easily enforceable across the EU. a First of all, a party can only sue in a Member State court if that court has jurisdiction under the EU rules. In other words, a jurisdiction clause that merely confers non-exclusive jurisdiction on the English courts does not, in and of itself, automatically confer a right to sue in another Member State court. b Second, it is in the nature of a non-exclusive jurisdiction clause that parties have a choice where to start a claim. The result might be that a party is obliged to defend proceedings in a jurisdiction it might rather have avoided – the EU rules require Member State courts to defer (in the first instance, at least) to the court first seised. With the UK outside the EU, there might be greater potential to enlist the help of the English court in resisting litigation overseas, but that would also involve extra time and cost (with no guarantee of success). c Third, in the event that a party chose to sue in England (or was unable to sue elsewhere), the fact of the non-exclusive jurisdiction clause might impair its ability to enforce the resulting judgment outside England. That is because non-exclusive jurisdiction clauses fall outside the scope of the Hague Convention. Signatories to the Hague Convention (which include the EU and which the UK could easily and unilaterally accede to post-Brexit) agree to permit mutual enforcement of in-scope judgments. It is likely that the UK will wish to accede to the Hague Convention, if only to provide litigants with a jurisdictional safety net pending a fuller cooperation agreement with the EU. In short, parties considering adopting a non-exclusive jurisdiction clause should consider carefully in which country the particular circumstances of their contract indicate they might need or be able to sue. Is the apparent flexibility enough to compensate for the risk of jurisdictional disputes and the possibility of not being able to sue in England (or another preferred jurisdiction)? EU law underpins the current position. The regime for enforcement is contained in the instruments relating to jurisdiction, which are considered in Section IV, supra. Under Brussels Recast, the judgments of Member State courts can be exported relatively quickly and easily to other Member States. Assuming certain basic conditions are met, Member State courts will recognise and enforce each other’s judgments as if they had been made domestically. The process for enforcing a Member State court judgment in another Member State is essentially administrative. A judgment creditor obtains a standard form certificate from the court that gave the judgment and then serves this certificate, along with the judgment itself and translations, on the judgment debtor in another Member State. The judgment creditor can then enforce his or her judgment using all the tools available to a domestic judgment creditor in the Member State of enforcement. The process is slightly more long-winded under the Lugano Convention, but nevertheless represents a considerable saving of time over the pre-existing position. The UK could seek to replicate, to a greater or lesser extent, the existing regime. The points made in respect of these options in Section IV, supra, apply equally to enforcement. The UK has entered into bilateral treaties for the mutual recognition and enforcement of judgments with Austria, Belgium, France, Germany, Italy, the Netherlands and Norway. These treaties (and those with certain other non-European states, mostly Commonwealth territories) are given legal effect in the UK by the Foreign Judgments (Reciprocal Enforcement Act) 1933 (the 1933 Act) and related statutory instruments. Insofar as it relates to the European countries listed above, the 1933 Act has been superseded for nearly all purposes by the current European regime. It continues to have a residual application in respect of judgments that fall outside the scope of the European regime (for instance, where a judgment is given in a claim which is not a civil and commercial matter). In the UK, at least, a renewed wholesale reliance on the 1933 Act to enforce judgments from the European countries mentioned above should be feasible. However, ensuring reciprocal treatment of English judgments could be more problematic. The European regime was intended to supersede previous arrangements and it is not clear whether and how other European states would enforce those historic arrangements with the UK. There are also considerable limitations to the scope and operation of the old bilateral arrangements. As well as applying only to seven of the 31 other EU and EFTA states, the regime only applies to money judgments. It is also less creditor-friendly: before a qualifying judgment can be enforced, it must first be registered in the enforcing state’s courts. Even then, there is considerable scope for a judgment’s registration and enforcement to be set aside, for instance on the ground that the foreign court did not, according to the rules of the enforcing court, have jurisdiction over the judgment debtor. Will European courts enforce English court judgments? What steps can be taken to reduce uncertainty? For the moment, of course, the UK is a full member of the EU and will remain so until March 2019 at least. Judgments obtained during that period will be fully enforceable in accordance with the current European regime. There is also considerable incentive for EU Member States to maintain the current regime post-Brexit so that their local judgments continue to be easily enforceable in the UK. Further and in any event, the Hague Convention, should the UK become a party to it, would provide another post-Brexit means by which English judgments in disputes arising from qualifying exclusive jurisdiction agreements would continue to be enforceable in Member States. The legal framework governing international arbitrations seated in England is largely British or multilateral in origin; the role of EU law is small. The procedural law that governs English-seated arbitrations is the Arbitration Act 1996 (the AA 1996). Section 30(1) AA 1996 provides that, unless the parties agree otherwise, an arbitral tribunal may rule on its own substantive jurisdiction. b The law of the arbitral process. This will be the law of the seat, and where the parties have not expressly identified a seat the court will determine it on the basis of the parties’ agreement and all the relevant circumstances. c The law of the substance of the dispute. In most cases, this will be the law that the parties have by their contract selected to govern their obligations. Where the parties have adopted institutional rules, these will guide the tribunal in the event that there is no express choice of law. In the absence of a set of institutional rules or other agreement between the parties, Section 46 AA 1996 is a statutory enactment of the same principle. It states that where the parties have not made a choice, the tribunal shall apply the law determined by the conflicts of laws rules which it considers appropriate. This affords a tribunal a wide discretion, although in most cases where the seat is London it is likely that a tribunal will apply English rules. These are in the Rome I Regulation and can be applied by a tribunal in these circumstances notwithstanding the arbitration exclusion in Rome I.
Cross-border enforcement (including in all the current Member States of the EU) is effected pursuant to a multilateral agreement: the 1958 New York Convention on the Recognition and Enforcement of Foreign Arbitral Awards. The UK is a signatory to the New York Convention in its own right and provisions of the AA 1996 implement the Convention in UK law. Sections 101 and 102 AA 1996 provide that awards made in states which are a party to the New York Convention shall be recognised in the UK as binding on the parties and shall be enforceable by means of the mechanism set out at Section 66 AA 1996. The impact of Brexit on international arbitrations seated in England and London’s position as a major international arbitration centre is likely to be minimal. The AA 1996 is a UK statute not dependent on or linked to the UK’s EU membership. The New York Convention is a multilateral instrument not linked to the EU; the UK and the other Member States are signatories to the Convention in their own right. The European regime applicable to jurisdiction and enforcement expressly excludes arbitrations from its scope. Some argue that the legislative uncertainty that could arise in some areas of the dispute resolution framework post-Brexit should make arbitration a more popular choice for commercial parties. A return of the anti-suit injunction in Europe? An anti-suit injunction is a device by which the English court can restrain a person over whom it has jurisdiction from bringing or continuing proceedings in a foreign court. They were classically used to prevent a party who had agreed to settle a dispute in England from breaking that promise by bringing proceedings in another country. 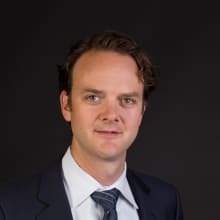 Anti-suit injunctions to restrain proceedings in another EU state (or signatory to the Lugano Convention) have been prohibited since 2004, when the ECJ ruled that they were inconsistent with the scheme and provisions of the Brussels Convention. Under the Convention, the ECJ explained, the courts of Member States owe each other obligations of trust; it is not for the English court to seek to deprive another state’s court of its right to decide whether or not to accept jurisdiction over a claim. That is properly a decision for the courts of each state to make in accordance with the requirements of the Convention. All other things being equal, when the UK ceases to be a member of the EU, decisions of the CJEU will cease to bind its courts. In theory, an English court could, where it had jurisdiction over a respondent, make an order restraining him from pursuing proceedings in an EU member state where that would constitute a breach of some prior agreement. a The UK has said it wishes to reach an agreement with the EU that substantially replicates the provisions of the European regime. It has also confirmed its intention to accede in its own right to the Hague Convention on Choice of Court Agreements, and has signalled that it wishes to continue to participate in the Lugano Convention. Although it is unlikely that any new agreement with the EU would place the UK under the direct jurisdiction of the CJEU, the exercise of the anti-suit jurisdiction would nevertheless be inconsistent with case law and might conceivably place the UK in direct breach of whatever arrangement it negotiated with the EU. b The English court’s jurisdiction to grant an anti-suit injunction is exercised in personam; that is to say, it is not a direct interference with a foreign court’s process, but rather a restraint on a person who is already within the English court’s jurisdiction. Where that person is abroad, jurisdiction might be contingent on obtaining permission from the English court to serve that person outside England. It may be difficult to persuade a court to exercise its discretion to permit service out in circumstances where that could be perceived by an EU court as an unwarranted interference with its jurisdiction. In other words, principles of comity might take the place of formerly applicable CJEU jurisprudence. Should arbitration be the default dispute resolution choice for cross-border contracts and transactions? The regime governing cross-border enforcement of arbitral awards is not linked to the EU and will be unaffected by Brexit. In some circumstances, then, arbitration could offer a more certain and more appropriate dispute resolution process. However, it is important to recognise that an arbitration clause is not a universal panacea. Parties thinking of incorporating an arbitration clause in contracts should still weigh up the relative pros and cons of choosing arbitration, both generally and for the type of disputes that may materialise under the specific contract in question. 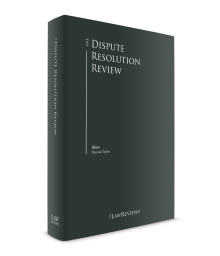 Relevant considerations might include the limited rights of appeal generally available in arbitrations, and the ability of parties to an arbitration agreement to obtain urgent relief. Parties should also consider carefully the different arbitral institutions and rules that are available to determine that may be appropriate for their circumstances. Should parties consider including hybrid clauses providing for arbitration as well as litigation in the English courts? Although superficially attractive for their apparent flexibility, such clauses may in fact do little to mitigate the risks they are designed to guard against. This is because hybrid clauses are a type of one-sided jurisdiction clause: although the English courts have upheld such clauses, courts in certain EU Member States, most notably France, have found them to be unenforceable in some circumstances. As a result, entering into such a clause creates not only the risk that the enforcement benefit of an arbitral award will be removed, as the clause underpinning the arbitration will itself be unenforceable, but also raises the prospect of additional challenges at the jurisdiction stage by competing tribunals within the EU. In the absence of a clear indication that the courts of all potentially relevant jurisdictions will uphold such a clause, they are unlikely to be suitable. 1 Damian Taylor is a partner and Robert Brittain is a professional support lawyer at Slaughter and May. 2 Denmark is not bound by the Hague Convention. 3 The People’s Republic of China signed the Hague Convention in September 2017. It is possible that China will formally ratify the Convention in 2018 allowing it to enter into force in and with respect to China.